Fountain Wall Pond - Universal Landscape, Inc.
Fountain wall pond adorns this residential front yard. Built to provide both sound and visual privacy as a memorial space for quiet reflection as well as a space for family & friends to enjoy. 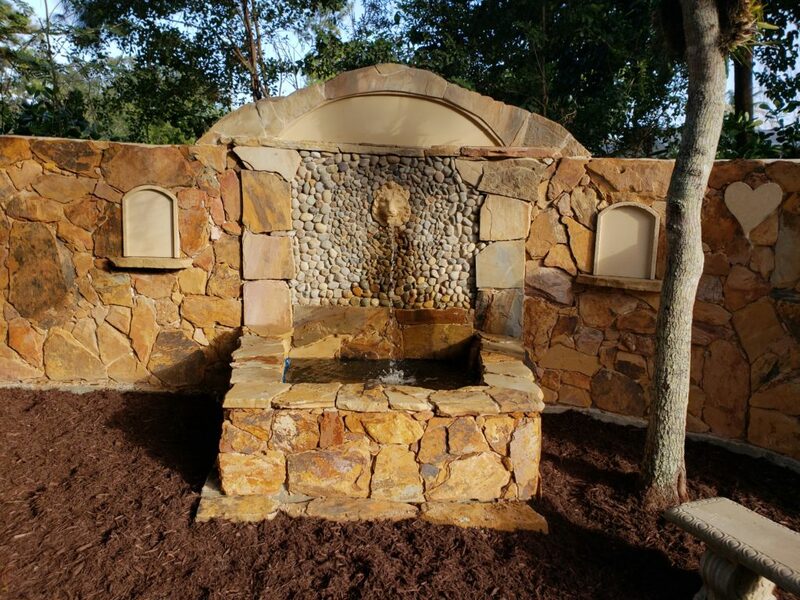 The lion’s head feature with stone facing for both the mosaic dressing up the focal point of the fountain & pond, as well as the stone wall facing helps to lend an ‘Old World’ charm or Rustic feel as was intended.